Dr. Mohamed Ibrahim, Minister of Antiquities announced the discovery of a tomb in El Khokha on the West Bank of Luxor. 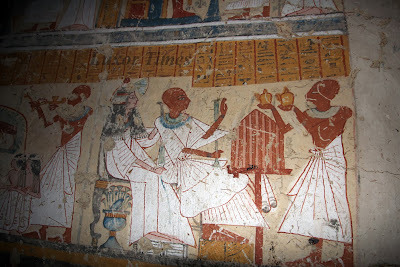 The tomb owner is Khonso Im Heb, the overseer of the granaries and the beer makers for Goddess Mut during the Ramesside period. The discovery by Waseda University expedition is an important one as the tomb walls shows a lot of daily life details and the nature of relation between husband, wife and children in ancient Egypt and the religious rituals they used to practice. 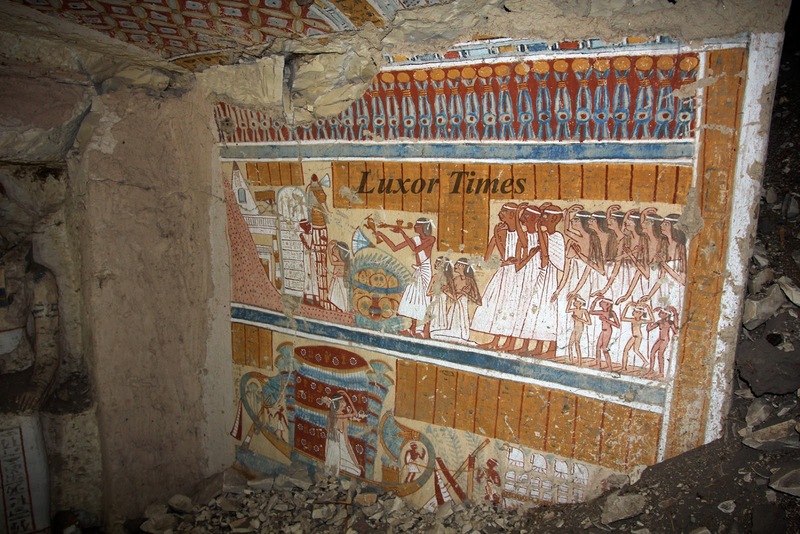 The newly discovered tomb in a T shape and it is connected to unfinished tomb of someone called Hon." 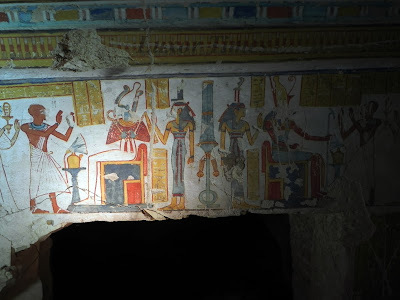 The paintings in the tomb shows the tomb owner with his wife "Mut Em Hep" and his daughter "Is At Kh", both held the title "Chantress" of Mut, All together making an offering to the Gods. 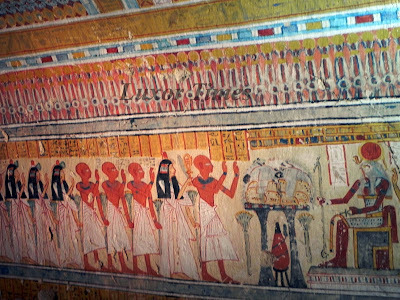 One of the scenes shows open the mouth ritual and other shows the tomb owner with his wife praying for Osiris and Anubis. 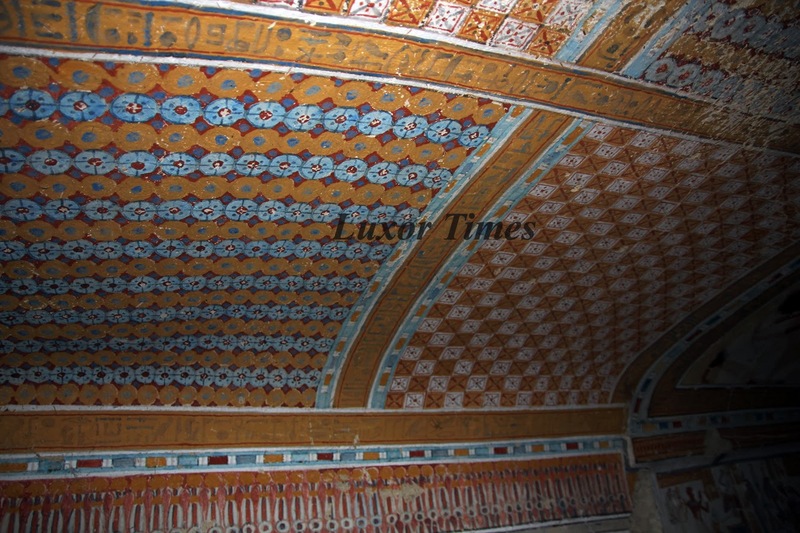 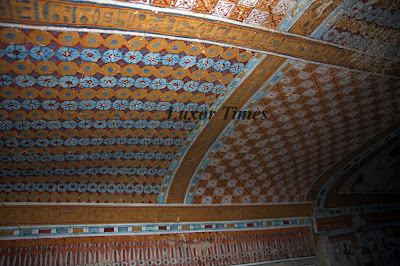 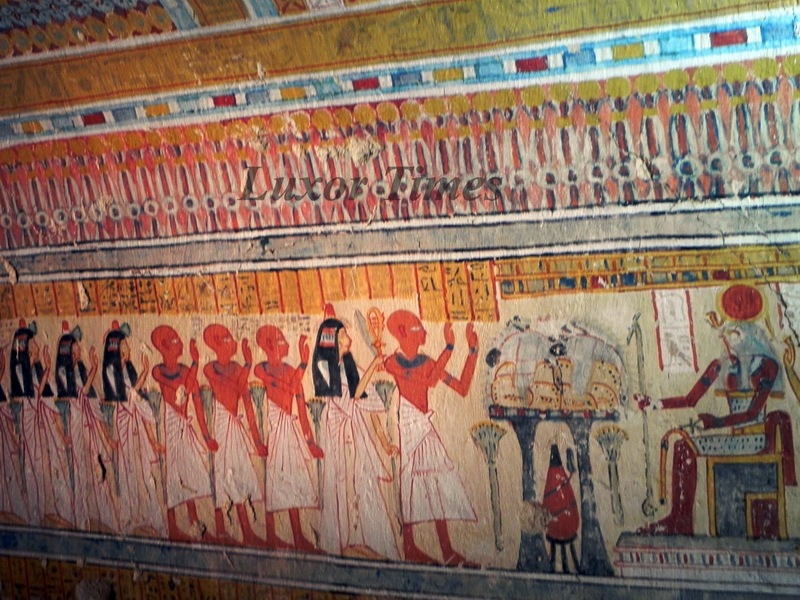 The ceiling shows a scene where the tomb owner is standing before a solar boat in reverence. 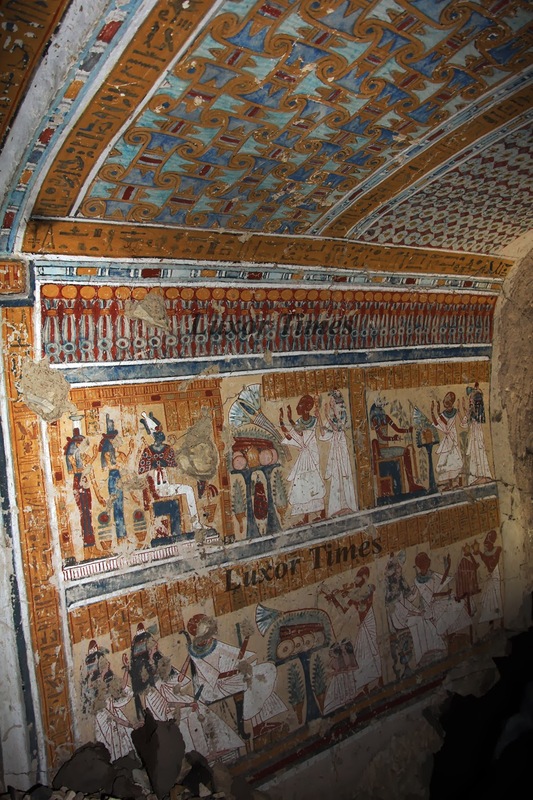 The Minister ordered to secure the tomb till finishing excavations and put a plan to restore in order to open it for tourists according to the ministry plan to encourage tourists to visit Egypt. Dr. Jiro Kondo, the director of Waseda University mission said "The tomb was discovered during the cleaning work in the front yard for tomb TT47 of an official in the time of Amenhotep III called "Userhat". 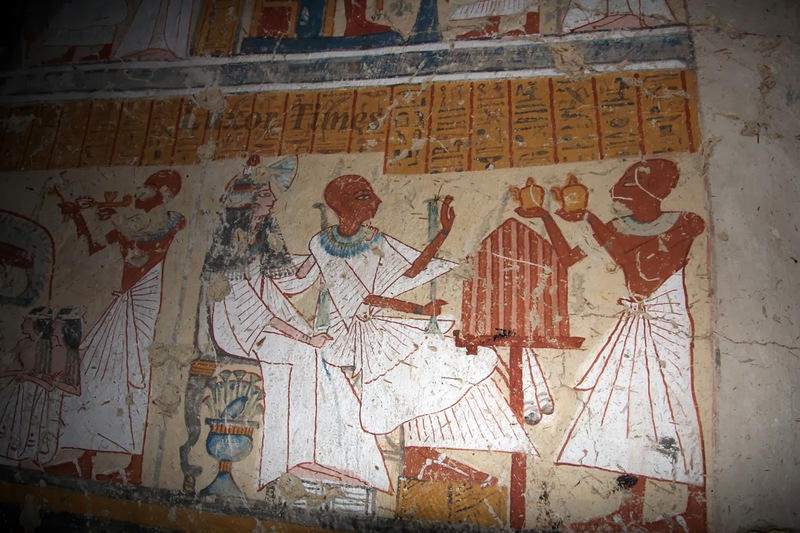 "The Revival of the Egyptian Museum"